An AutoChem II 2920 grant has been awarded to the University of Basque Country by Micromeritics’ Instrument Grant Committee. The grant was awarded for the Structured Catalyst and Reactors for Energy and Environmental Applications Group of the Department of Applied Chemistry (UPV/EHU). Professor Mario Montes, states: "The main objective of our research is the study of structured catalyst systems. These are systems where the catalyst is deposited as a thin film on the walls of a substrate having large pores or channels. "Thus, it is possible to minimise the pressure drop of the catalyst bed without impairment of the diffusion through the external boundary layer or throughout the porous network of the catalyst. "It is very useful to have the opportunity to work with gases and vapors to differentiate the nature of the centers, which explains why the option of vapors for AutoChem II 2920 was requested from the Micromeritics Grant Program." 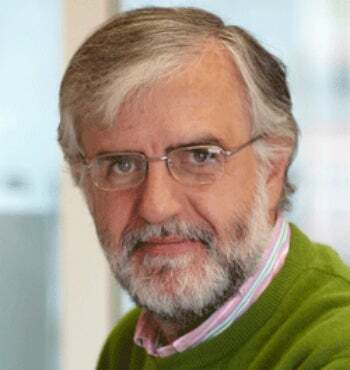 Currently in the position of Professor of Chemical Engineering at the Department of Applied Chemistry (University of the Basque Country) Montes has oriented his courses on Chemical Engineering, Environmental Science, and Technology and Heterogeneous Catalysis and training of researchers by the supervision of Master works (28) and Doctorates (20 + 3 in progress). His research has focused on heterogeneous catalysis, having studied different catalytic systems and reactions. He leads the group "Structured Catalytic Systems for Energy and Environmental Applications". Micromeritics’ president Preston Hendrix said: "This program is designed to promote and advance the acquisition and use of particle characterisation instrumentation in non-profit universities and institutions where other means of funding are not generally available. "We are very proud and excited to present this award in an ongoing grant program to support important research." Mr. Hendrix has appointed a special Grant Selection Committee to ensure the success and effectiveness of this program. Micromeritics’ Instrument Grant Program is intended to provide particle characterisation instruments to non-profit universities and research organisations for the purpose of fostering and supporting meritorious research projects. A maximum of one instrument or integrated system will be awarded per calendar quarter.